This 34mm. 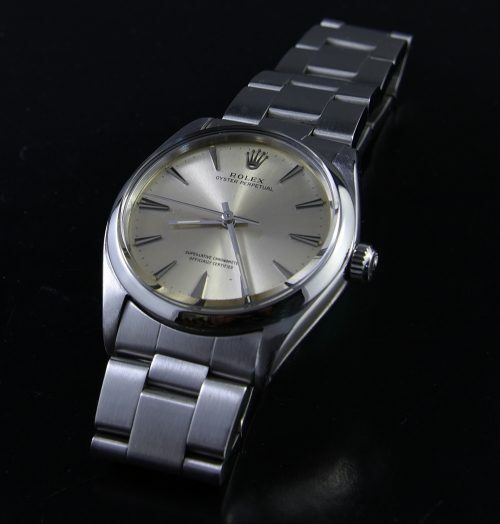 stainless steel 1963 ROLEX OYSTER PERPETUAL truly looks brand new. The Rolex OYSTER bracelet and the entire watch glistens. The original silver dial with steel raised arrow markers looks excellent. The tiny age spot on the dial appears much less visible in person. The hands were replaced at one time during a service. 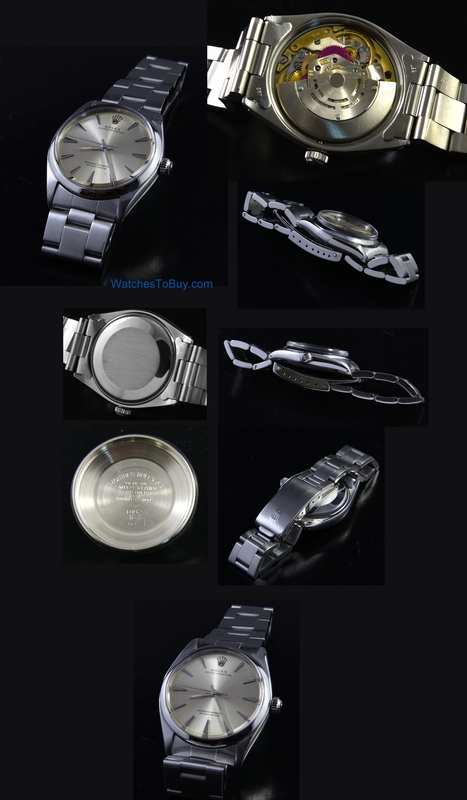 The automatic winding ROLEX movement was cleaned-sparkling. This watch would make a great gift for the discriminating buyer who prefers the simple and clean lines of a classic vintage watch.